Chris and Michael are discussing what they most look forward to when they leave Camp Grit. Michael is not looking forward to leaving as he feels safe. On the deck, the dwindling teams await the return of the loan competitor from the Elimination Challenge. Herman makes his way across the bridge with his Golden Eagle costume on. Gigi and Michael are thrilled that they have been able to maintain the “family”. They feel that although George was “wearing blue, he still had green blood” and they are sad to see him gone. At Cadre Compound, the Cadre and Cena are facing the reality that, for the first time in American Grit history, a Cadre has to ring out. Riki rings the bell. The competitors are shocked at the sound as they watch Riki make her way over the bridge. Cena, SURPRISE, drops another Double Elimination hint on the cadre with the clue that “attention to detail” will be a key element in this upcoming competition. John Cena makes his way over to Camp Grit to speak with the competitors about the upcoming challenge. Cena is secretly quizzing the teams. He is not going to inform them that they will be tested on this “casual conversation”. Cena divulges details of his relationship. He’s very heartfelt and genuine with sharing his life. Alison’s radar is ON. She remembers that Cena had once said that everything is done with a purpose, and she is taking mental notes on the conversation. The Cadre show up to discuss the upcoming Team Challenge. Burk tells Chris and Hannah that they MUST come back. Grady quizzes his team on small details around the camp. Alison tells Chloe that she already knows what the challenge is and reveals her notes about that evening’s conversation. She’s feeling prepared. Team members will be positioned at the top of a mud slide. One by one they will be given a question from Cena’s story. 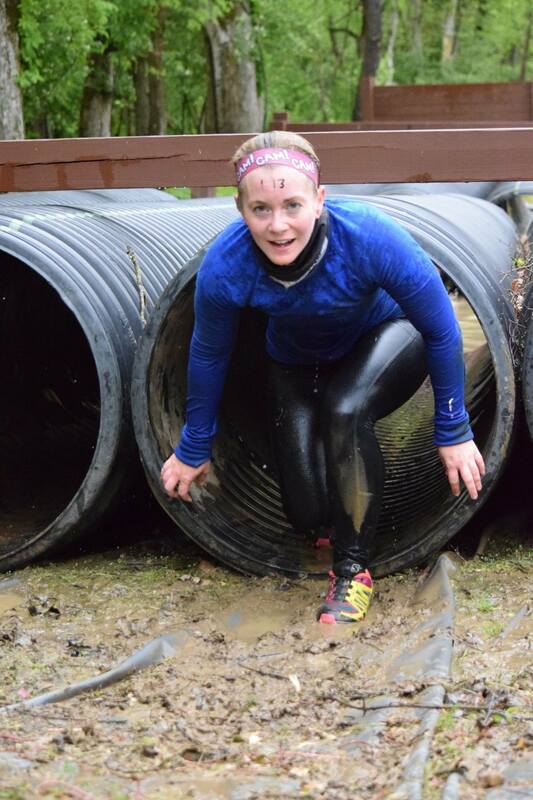 They will slide down the ramp in to a mud pit, find the answer on a tile and run back to the start. Team with 4 points wins the challenge and is safe from Double elimination. The 6 remaining competitors are at the ready Gigi is worried that she was too distracted with Cena’s muscles last night to have retained any information. Cena asks the first question : “Who inspires me most”. Gigi, Alison and Hannah hit the slide. Alison makes it to the top first with the correct answer: Boss. Gaining herself (Team of one) a point. Q: What is my favorite exercise? Q: Which sacrifice have I done? Q: where did Nicole and I have our first Kiss? Michael sprints back to the start with what he believes is the correct answer in his mouth. His Cadre and team are SCREAMING as this could be the winning answer, guaranteeing all of Team Green a spot in the Final Challenge! Chris makes second, and Alison struggles to the top of the ramp in third. “A restaurant” is the answer revealed by Michael. He scores the 4th and final point for Team Grady. His team is safe from the Double Elimination challenge. At Cadre Compound, the Cadre discuss the Team Challenge and what to expect going forward. Burk realizes the reality that he or Chloe could be potentially ringing out after the Double Elimination. Chloe thinks that Alison’s finger will put her at a disadvantage in the upcoming event. Even though Alison is injured, Chloe believes in her abilities and how far she has come. Grady makes his way to Camp Grit to congratulate his team, but he has something up his sleeve (or in his pocket.) Gigi is hoping that it is an engagement ring, but whatever it is causes Hannah to cry. After failed attempts to get Gigi to put her hand in his pocket, he tells her to close her eyes and pulls out a snake. This sends Gigi flying across the room. Gigi reluctantly holds the snake. Grady gets Hannah to hold the snake as well. Hannah is in awe of the snakes movement, and proud that she just conquered her greatest fear. Burke walks in and loses his sh*t on Grady. Burk pulls Hannah aside to tell her that she needs to get in the mind set to go up against Chris. Cena has granted the Cadre 15 minutes to allow their competitors to train on the equipment that will be used in the Elimination. Chris and Hanna take their individual turns practicing on the structure. Alison reveals that her finger is not broken, but it is not functional. Chloe takes Alison out to train on the equipment. Using just ropes, competitors must balance a ball on an unstable shelf while also balancing their shifting weight on unstable platforms. Every 10 minutes they will have to reposition themselves on to a more unstable platform. The two competitors to lose control and drop the ball will ring out and be eliminated. This is the first time team members will compete against one another for a chance in the final. Competitors take their positions as the Cadre set the weighted ball on the shelves. Chris, Hannah and Alison are like statues. The three competitors make it through the first 10 minutes. Alison transitions seamlessly to the next position. Chris struggles and has a very near slip but regains focus. 24 minutes in Chris begins to talk loudly. Hannah whispers to herself for him to stop talking. 36 minutes in Alison begins to show signs of fatigue. She struggles to steady her ball but loses her grip and falls. She is eliminated from American Grit. She is frustrated but proud of what she has accomplished on this journey. Chris and Hannah remain to compete against one another. Burke removes himself from them. 30 seconds before the 40 minute mark, Chris loses focus and balance. He rings out with such pride that he knocks the bell off it’s stand! Hannah, Herman, Michael and Gigi are the final remaining competitors of American Grit.